As an educator, you may have several resources in your PLN (Professional or Personal Learning Network) where you collect tools for students. But where do you go for tools to use for your own reading and writing? Even if you have some more traditional tools you enjoy, consider some of these to help you, whether for fun or work. Flipboard — Flipboard has been around for quite a while and is a great tool to curate reading material on topics, people, and organizations of interest to you. This free tool is for Android, iOS, and the web. You can also find a few tutorials to help. The tool allows you to curate your own magazine(s) of readings that you would like to share out to your like-minded friends. Start by identifying the topics, publishers, and people you are interested in. You will then begin getting a tailored list of blogs, articles, and resources. You can like and dislike articles to help Flipboard refine its accuracy in pulling together readings for you. And, if you like to share the resources you find (tweet, email, text, etc. ), you will find it super simple to share, too. Goodreads — Looking for the next author to read? Want to know what others are enjoying, not in a marketing way, but from the grass roots? You will enjoy Goodreads. If you are wanting to be connected through the app, then you can connect with your friends and keep up with who is reading what and what they liked (or didn’t like) about any book. You can easily keep up with what you’ve read as well as what you’d like to read. Take a look at Goodread’s Listopea where you’ll find lots of interesting, curated lists all ready for you, such as Great “Cat” Books, Weirdest Books Ever, 100 Books to Read in a Lifetime, Books that Made You Ball Your Eyes Out, Books Written by Disabled Authors, and so on. If you can think of a category or topic, you can probably find a list for it. If not, you can start a list that others can help with. 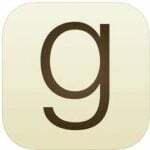 Find Goodreads on iOS and Android. Scribd — If you are like me, you have plenty of time on the go to listen to great books. Because my commute gives me about two hours in the car each day, I find that I can make great use of the audiobooks in Scribd. When I have time to sit and read, I can search their extensive library for good online books. What I like most about Scribd is that you pay a monthly subscription fee and have access to everything. Besides books and audiobooks, you will also have access to sheet music, magazines, and documents. 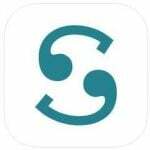 You can find Scribd on Android and iOS. If you would like to have access to books and audio books after your subscription ends, then consider using Audible. Though you purchase each book you read or listen to, it remains yours even if you end the subscription. 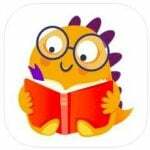 Read2Play — If you would like your children to use some of their screen time to read prior to playing games, then you may want to check out Read2Play. You can subscribe to a seven-day trial period to see if it meets your needs. 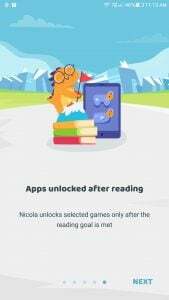 Read2Play allows you to identify which apps can be access after the reading goal has been met. 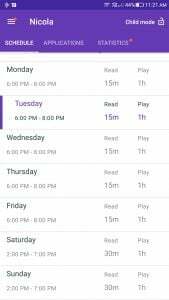 Read2Play is for iOS and Android. You may find that you have to write much more than you prefer. Some people are great at writing and really enjoy it. Others though, like me, would rather tell somebody the information and have them write it for me. Wherever you find yourself on that spectrum, here are some tools that can assist you in a variety of writing tasks. Sometimes it is hard to get started writing when you are staring at a blank page (or a blank screen). In those times, consider using a writing template to prime the pump. You will enjoy the selection of 127+ Writing Templates that template.net provides. You will find many different categories of templates such as grant writing, proposal writing, resume writing, writing up an employee, and even book writing for you to use when you sit down and finally start that novel you have always wanted to write. Even if you change up everything, at least you have some information to get you started so that it is easier to prime the production line. SpeechTexter — This online tool allows you to create text notes, emails, manuscripts, blog posts, and more just by using your voice. Begin by clicking on the Start button. When asked to allow your microphone to listen to you, click the Allow button. SpeechTexter boasts 60 languages. It won’t translate what you are saying, but it will allow you to dictate in the language of your choice. Because this tool has simple writing tools included in it, you can go back and forth using your voice and typing. 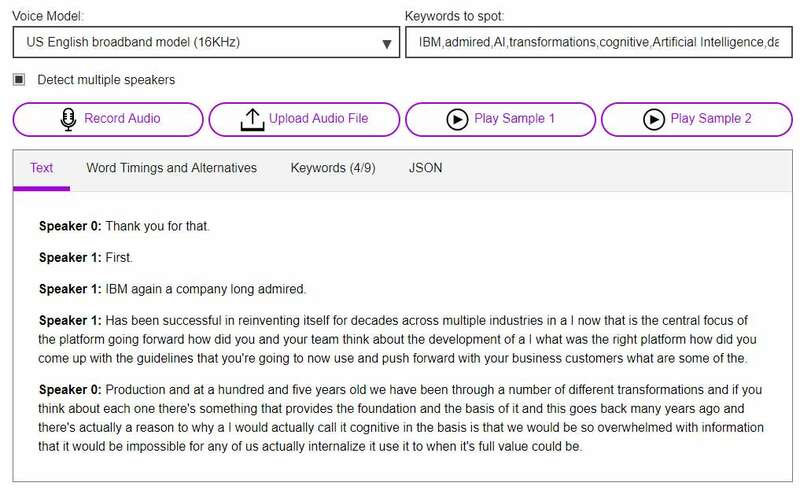 Watson Speech-to-Text — This simple tool allows you to dictate by talking into your microphone. You can also upload pre-recorded audio files (mp3, .mpeg, .wav, .flac, or .opus) and have them converted to text. This tool can even recognize multiple speakers and make the distinction in writing. Below is an example of one of the pre-recorded samples they have. Dictation— You will definitely enjoy the simplicity of this robust tool that can copy, save, publish, play, email, print, and clear your text. You will need to use your Chrome browser on your laptop to access it, but you will definitely find this as an easy go-to speech-to-text tool to add to your arsenal. You can even have the text read back to you. If you find that you have an online article that you would like to read, but are too tired, then copy and paste the article into the Dictation text area and have it read to you! You can select from a variety of voices as well as adjust the pitch of the voice and the speed. 13 Guaranteed Methods for Becoming a Better Writer — Fast — This informative blog post by Allison VanNest will give you some quick tips with a brief explanation of each. Even if you find you aren’t writing blog posts, you will find her ideas very relevant. Daily Grammar — If you prefer writing instruction specific to grammar and simple to digest, then consider subscribing to this set of 440 lessons that you receive via email. These begin with very easy lessons. If you want to jump to specific mechanics of grammar and writing, then take a look at their Lesson Archive. 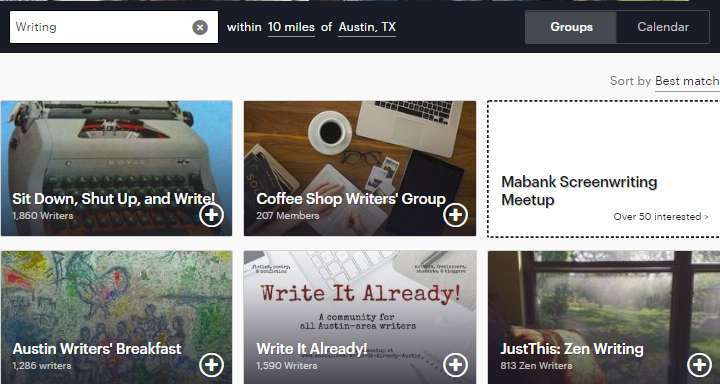 Writing Meetups — If you find that you prefer a social setting when working on your writing, then consider looking for a nearby Meetup. Enter your zip code and the distance to look for a club that may be meeting near you or worth driving to. You’ll find groups for fiction writers, romance authors, grant writing, speed writing, and even for folks that love using a typewriter! If you don’t find a group that fits your writing need, you can start one. You might find that there are others near you that would enjoy being in your group! What tools do you use to help you when you read or write? We’d love to hear from you. Whether it is for business or for fun, your tool may be that special one that another educator could really benefit from! Be sure to share in the comments below. Mindfulness, meaning mental presence and reflection, is a popular practice across the U.S., incorporating tools to help people think clearly and critically, calm their minds, and be more productive. Many teachers also believe mindfulness can help students feel more relaxed and focused, not to mention make them less likely to engage in disruptive behavior than those who don’t meditate or undertake other mindfulness practices. Research shows that mindfulness practices can have a generally positive effect on students, though it’s not yet clear whether those outcomes are caused by specific practices or simply giving students the chance to take a breath during a busy school day. In one study, students said they spent one-third of their study time feeling worried, stressed, or stuck. A variety of factors could cause those feelings, but the decision to make your classroom a more mindful one could help students learn valuable stress management skills. Here are six apps that might help your students be more present, relaxed, and productive. One of the advantages of Stop, Breathe & Think is that it gives customized meditations based on how you’re feeling at that moment. First, users go through a brief survey about their current state, then receive meditations to match the results. Students can take part in the activity even if they only have about five minutes. Depending on the age of your students, there is a kids’ version of the app intended for young people from 5-10 years old. Also, the app creators offer educators a free lifetime membership that provides access to hundreds of activities, plus both the kids and all-ages version of the app. Hundreds of schools use the Headspace app to introduce kids to mindfulness practices. Users get the Basics course for free, allowing them to determine if meditation is something they want to continue. If it is, subscriptions provide access to mindfulness exercises of various lengths and topics. Moreover, the content gets delivered in an extremely accessible manner. So, if you’re not yet familiar with mindfulness, but want to learn along with the students, check out Headspace. 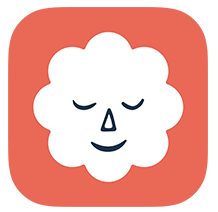 Featuring quotes, a visually pleasing interface, and helpful elements like a built-in timer, DreamyKid is another mindfulness app built for young people. However, individuals of any age can get something out of it. There are apps for specific needs, too. Some of them work well for helping kids wind down before nap time, and others can help them stay committed to tasks. Also, schools and other organizations that work with children can get DreamyKid for no charge. One of the possible downsides is that it’s only available on iOS for now, but an Android version is on the way. Insight Timer claims to offer the most extensive library of free guided meditation content with more than 15,000 options available. Also, the “timer” part of the name relates to how you can choose from several sounds that signal to listeners when it’s time to start and stop meditating. As such, learners could begin to associate a soothing noise with getting in the frame of mind to meditate. There is a specific section of content for beginners, too. This highly-rated meditation app goes beyond the kinds of mindfulness that people typically associate with the term. For example, there is a section of material for mindful movement, plus exclusive music tracks to help users get engrossed in their quest toward mindfulness. If you get the premium version of the app, it offers a daily calm, which is a new meditation for each day. It could be an excellent way to start the school day. This app encourages people to make mindfulness part of their everyday activities, so it could help show kids that they shouldn’t only engage in mindfulness when they’re in your class. It can send up to five random reminders to people that urge them to meditate. There are also quotes and photos for users to share with their classmates on social media. This app proves that although there are distracting ways to use smartphones in schools, it’s also possible to depend on them to help kids learn something new that could benefit them for the rest of their lives. As this list demonstrates, there are numerous apps to promote mindfulness in your classroom. Even better, some offer the content free for educators, meaning you can try meditation with your students without cutting into your budget. Have you tried to introduce mindfulness into your classroom? 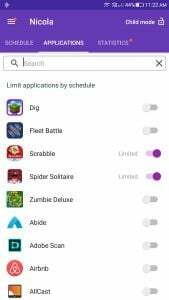 What apps or other technologies have you used? What were the results? Let us know in the comments! Kayla Matthews is an ed tech journalist whose work has been featured in InformationWeek, Noodle, InnovateMySchool and VentureBeat. To see more of her writing, visit ProductivityBytes.com or follow her on Twitter. Photo by Jenny Downing via Flickr. 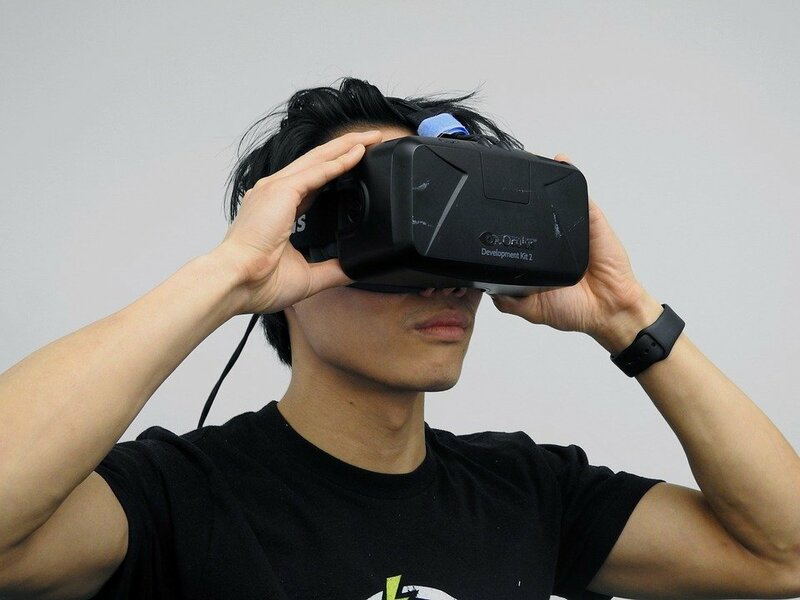 Virtual reality being used in the classroom is not just an educational trend. It can have a positive effect on student learning and engagement. Here’s what you need to know about VR and how you can better prepare your students for the careers of the future without having to leave the classroom. And we’ll look at the best VR apps currently available. What’s Fueling Immersive Technology in Education? There are two reasons for the growth in popularity of ed tech in general and VR in particular – the rate of evolving technology and falling costs. Laptops are getting cheaper (bringing closer the day when every child will have a device in school) and Microsoft is set this year to launch a light and inexpensive Windows Core software that can run on cheaper laptops. Along similar lines, immersive technology now has more affordable options like the Oculus Go headset and a glut of Augmented Reality (AR) kits and AR core enabled experiences for mobile. With the release of excellent VR experiences for Vive, Rift, and WMR headsets, the VR platform is now a real possibility for educators who want to assimilate this technology into their classrooms. 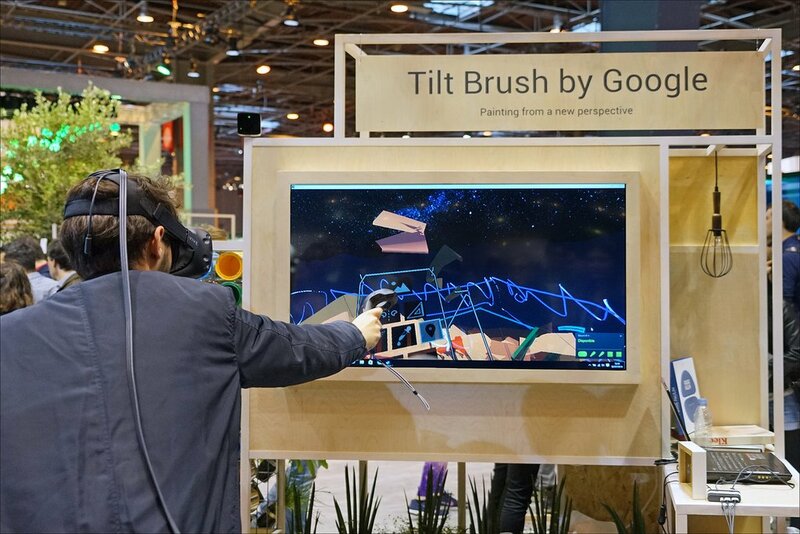 Tilt Brush allows students to create their own artwork in 3D environments using a huge variety of colors and brushes. It’s available on Oculus Rift and HTC Vive, and students can share their creations in animated GIFs. For a VR art museum experience, you can’t get any better than Boulevard. This app gives students the opportunity to walk through some of the world’s leading museums, experiencing iconic artwork in a three-dimensional space while a curator recounts the stories behind each piece. Titans of Space takes students into deep space to explore and understand the enormous awesomeness of our galaxy. Visuals (with accurate perspective and size ratios) are as stunning and all space exploration takes place to inspiring background music. Even the Apollo 11 VR space expedition app has been given a recent upgrade with new demo modes that allow you to choose specific scenes from the full documentary experience. With recent breakthroughs in aviation technology, VR is ushering in a new era of pilot training, which would be of special interest to students thinking about careers in aviation or aerospace. A Journey Into The Brain is one of the latest offerings from educational VR giant Unimersiv. The app takes students on a narrated journey through the brain and explains how this marvel of human anatomy works. The app is free and available for Samsung GearVR and Oculus Rift. Another quality VR experience is The Body VR. This app allows students to travel through the bloodstream and explore how blood cells work and how they react to viruses. One of the areas to benefit most from VR educational apps is geography. Earth AR allows the earth to be viewed in a new way while Discovery VR gives students opportunities to discover exotic natural locations and interact with the natural world around them. Just some of the experiences include swimming with sharks, rescuing rhino, mountain biking, or exploring base camp at Mt. Everest or the Taj Mahal. The app can be used on a number of platforms, including Oculus Rift, GearVR, and HTC Vive. Students can immerse themselves in the wonders of ancient Egypt with VR educational apps like KingTut VR that bring a reach-out-and-touch reality to hieroglyphics and the Death Mask of Tutankhamun. 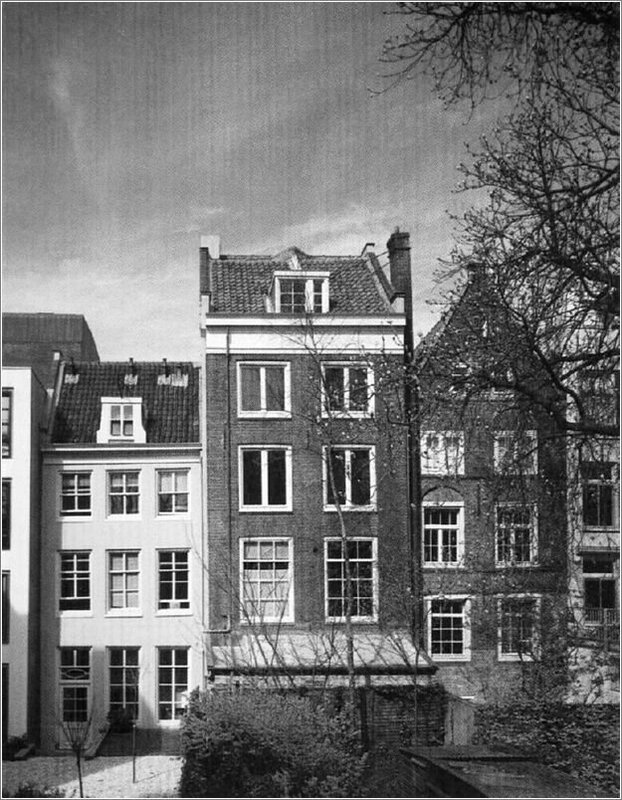 The Anne Frank House VR sets out in detail the secret annex where Anne Frank and her family hid for more than two years during World War II. The VR experience is enriched with quotes from her diary. Learn Languages VR provides students with a multi-dimensional approach to learning a language by immersing them in a locale where they can communicate with native speakers in real life dialogue. This app had been download more than 500 million times. Number Hunt is where gaming meets math. Students get to travel through a number of interesting arenas and hunt down anthropomorphized numbers, shooting them with a device that applies either addition, subtraction multiplication, or division. Nanome, available on Vive, Rift, and WMR, was named one of the most exciting scientific apps in 2018. It allows the student to interact with chemicals and proteins, and supersizes nanotechnology while also providing opportunities for students to collaborate with each other or in groups. As educators use VR technology more widely, a demand for VR learning platforms that allow for an experience that is tailored to the unique life and environment of students is likely to grow. This is already seen in tools like Tour Creator that allows adjudicators to build their own interactive, multi-scene virtual tours. The attraction of Tour Creator is that it’s free and has a simplified creation process for educators to incorporate simple 360 tours across the curriculum. Another wonder is the Merge Cube app – a foam block that works with Google Cardboard headsets and transforms into our solar system, a dinosaur, or almost anything else that can be thought up. Many tech experts are saying that VR is about to go mainstream and 2019 may not be far off the mark. Recently, at Oculus Connect, Oculus and Facebook set aside $10 million dollars to invest in educational content creators. What are your students doing with virtual reality? This guest blog is written by Jo-Ann Coetzee, the Organic Search Executive of The Media Image in London, England. Classkick is a tool that allows for real-time monitoring, feedback, and assessment on student work and can be a bridge to more personalized learning in 1:1 classrooms. In this blog, two educators share their experiences with Classkick, including both its limitations and why they love the app. The initial perspective is from fourth-grade teacher Amanda Hawthorne. Have you ever stood in line at one of the only two copy machines in the teachers’ lounge only to watch the machine jam over and over again for the person in front of you? Or have you run out of paper while making copies and had to borrow from another teacher? How about that back pain from having to lug all those papers around to be graded? In a world with so much technology at our fingertips, why haven’t we found the solution to any of those problems? That solution may have arrived. I recently went to a professional development workshop and was introduced to a free application that came out of my dreams and into my classroom. It’s called Classkick. Classkick is a free app that allows students to work on assignments and get help instantly from their teacher and peers. At first, I was hesitant. Now I would have to add another element to my classroom that would take time to learn, and I’d have to teach my students how to use it, too. I put it on hold until the fateful day when I was standing in line to make copies for my students when BOTH of the copiers broke. I didn’t know how I was going make my lesson effective without something for my students to write on. It was at that moment that I remembered Classkick. Fortunately, I have 1:1 Chromebooks in my classroom, so I knew I was going to have to give this a try. Once I walked my students through the Classkick tutorials, they were instantly hooked. The idea of getting to use their Chromebooks instead of a pencil and paper was so exciting to them! The next day, I uploaded the assignment I had been trying to copy and let them complete it on Classkick. I was able to watch them in real time as they worked through each question. If a student had a question, they would simply “raise their hand” with a click of a button and not feel any embarrassment or self-consciousness. Once they completed their assignment, they submitted their work and I was able to grade all their papers from the comfort of my own home without having to carry them home in a heavy bag. The next morning, my students begged me to send them more assignments on Classkick so they could show me what they could do on the app. Classkick can be easily linked to your Google Classroom for sending assignments and saving work. It’s only available on iPads, computers, and Chromebooks. I had finally found a solution to using the dreaded copy machine. By the end of the year, I was sending assignments, tests, and even books to my students! Not only does Classkick save me time, it also saves TONS of paper in my classroom. Since I have Classkick connected with my Google Classroom, parents can easily log in and see their children’s work. I use this app several times a day to introduce new topics or concepts, to demonstrate text-based evidence from a story using colored highlighters, and even as our morning bell ringer. It also allows me to add my own content, my voice, my images, and my directions. Students can add their own pictures, labels, voices, and text to make the assignment their own. Classkick is also very user-friendly. Their website has so many teacher resources, and if that doesn’t help, you can email their wonderful tech support. I was having trouble and they asked me to call them on my conference hour and personally walked me through what I was having trouble with. Classkick made my experience personal, and they made sure I was able to complete the task without any hesitation. Classkick completely changed my classroom, and I am so grateful. I recommend it to anyone who has an opportunity to use technology in their classrooms. You don’t have to be 1:1 to make it work. If you have computers or iPads in your classroom, Classkick can be used for centers. 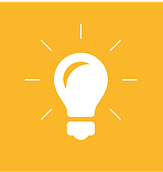 Classkick wants to “help teachers teach and learners learn.” Give it a try; you will love it! Student sign-in is a snap using a code you provide them. Tests are easy to import and can be automatically separated into different pages. I am able to see in real time how the students are solving the problems. Once each student finished, they can submit and wait for my reply (from my iPad) or “raise their hand.” I am able to write on their screen wirelessly. I can remotely reward them and/or help them individually. Other students can help remotely as well! Initially, the school infrastructure wasn’t ready to support Classkick, and we had a significant lag of up to five minutes. We were able to improve that in subsequent years, but the honeymoon ended when my average student count increased. We don’t have enough laptops for 1:1 and found we were investing too much time. That said, I still have a lot of positive things to say about Classkick. The kiddos love it, and I love it. They love the badges awarded to them and get excited when I virtually write on their paper (laptop). I love it because it lets me give them more personal attention and assessment. Is Classkick the right choice for your district? Have you used it and had a different perspective from these educators? We would love to hear your experiences in the comments. This is a guest blog by Amanda Hawthorne and Ronald Cintrón. Amanda currently teaches fourth grade at Fort Sam Houston ISD in San Antonio, Texas. You can follow her on Twitter @MrsAHawthorne or email her at [email protected]. Ronald is a bilingual teacher at Oak Meadows Elementary in Austin, Texas. Being a leader, whether it is part of your title or given to you by those you support, can sometimes be challenging. With a wide variety of tasks and skills that you have to manage, you may find that it is sometimes downright daunting…unless you have some help from selected apps, websites, and gadgets. We’ve curated a few tech-related tools for leaders that are related to gathering information, sharing information, and focusing on work without distractions for you to try out. As a leader, it is important that you are up to date on so much information. Here are a few tools to help you in that endeavor. 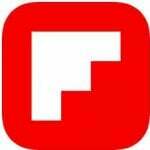 Flipboard – This customizable e-magazine allows you to identify topics and sites you would like to follow. Unlike in the “old days” where you had to gather RSS feeds and put them in your aggregator, Flipboard allows you to easily search and identify resources in a very user-friendly way. Then, each time you open Flipboard, it will have gathered the most recent blogs, websites, videos, and news based on your identified interests. And it can even learn nuances of your interests as you like different pages. Paper.li is a similar tool that does the gathering for you and puts it in a nicely presented newsletter format. With a paid subscription, you can upgrade the look of your paper from a newsletter to a full blown website. You may choose that you don’t want to start your own paper, so here are some that others have already been started to help you gather information on a variety of topics: edtech, students, classrooms, technology, and virtual reality. If you are searching for information that is no longer posted on a website, then you might try your luck using the Way Back Machine. Enter the url of the site you want to review and check to see if there are any archived snapshots of it. If so, you can review the website on those specific dates and possibly find the information that you need. Though many folks use digital tools to take notes (such as OneNote, Google Keep, etc. ), you may prefer to take notes the old fashioned way with paper and pen. 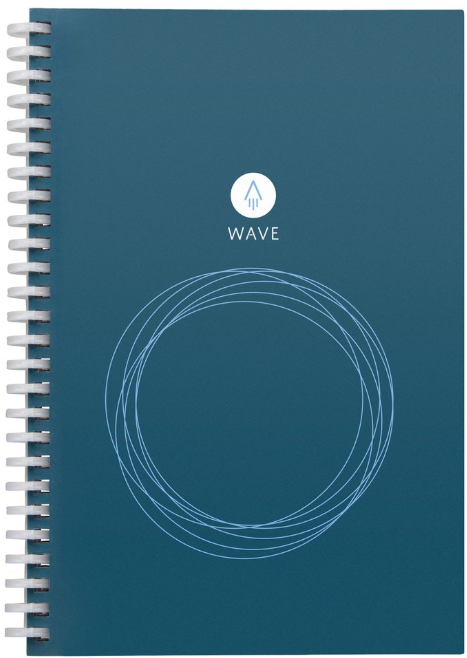 If this you, then check out the Rocketbook Wave Smart Notebook. Write notes and draw sketches in the notebook. Afterwards, you can use their app to digitize the information and sync to your favorite tool. When your notebook is full, just pop it in the microwave for the recommended time to remove all the ink. Voila, you now have a clean notebook ready to be filled again! You can refill a notebook up to four times. Whether you are sharing information with someone now or making it available for them to access at their convenience, you are sure to find these tools a handy addition to your toolbox. Video conferencing doesn’t get any easier than Appear.in. This tool is great if you have virtual office hours or need to have a video chat with someone on the fly. If you think you would use it often, you can reserve a room name to make it easy for everyone to remember. There’s only enough “room” for four participants so it’s not the ideal solution for larger meetings. 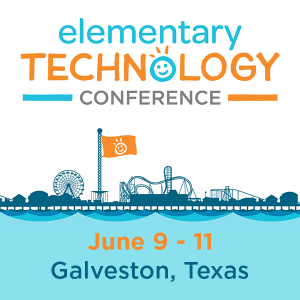 But if you are like me, many of my meetings include only one or two other folks; I’ve reserved the room https://appear.in/tcea for such meetings. This is a great tool, especially if you are meeting with tech-challenged coworkers or stakeholders since there is no learning curve and they can access through any web browser. For instances when you need to share how to access or do something on the computer or internet, I highly recommend Screencastify. This go-to tool allows you to record your screen casts with or without your webcam inset. This is one tool that is worth paying the low yearly fee to remove the watermark and the 10-minute time limit. When done, you can easily share your cast via YouTube or Google Drive. If you have the paid version, you can download the video as an MP4 or animated GIF, as well as crop/trim your video. 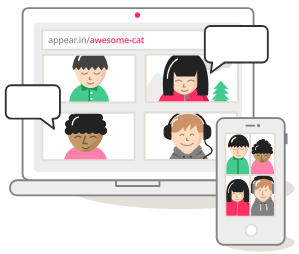 Flipgrid allows you to create asynchronous video discussions. Again, this is another tool that is worth the annual fee to have the premium features. If you decide to purchase several licenses at once, you can get a discount! Think of this as an easy way to share your video without putting it out on YouTube, Vimeo, or the like. Then folks can respond and keep the conversation going (by text comments with the free version; by text or video with the paid version). Not only is this a great tool in the classroom, it’s a powerful tool for busy leaders. We all hit times where we need to close the door and get the job done without any distractions. These two tools will help you be more aware of how you are using your time and block out some of those annoying distractions. Timular, mentioned in a previous blog post, is an eight-sided die that lets you easily track the time you spend on various tasks. This is great for leaders who find they have more tasks than time to complete them. Knowing exactly how you spend your time can help you make positive decisions on where to make adjustments. You can review how your time was spent within the app or on a calendar that you’ve synced to it. Noisli is robust noise machine with 16 different sound scenes that you can combine to make the perfect background noise for you…and you can save up to five favorite combos. One of my favorites is a little pink noise, some wind, and a modest thunderstorm. You can also set a timer and, if you need to do some writing, open its distraction-free writing tool. Whatever your recipe for helping your focus, you’ll find that Noisli is a great tool to have handy. 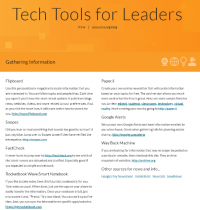 If you would like additional tech tools for leaders, be sure to check out our longer list (PDF or PNG). As always, we would enjoy hearing some of your favorite tech tools – whether apps, websites, or gadgets – that you find helpful. Just add them to the comments below.